Struggling with how to accomplish your goals—or finding the finishing equipment you need to get the job done? Located in Northeast Ohio, Industrial Coating Equipment has 30 years of hands-on experience and hundreds of successful finishing installations under our belt. 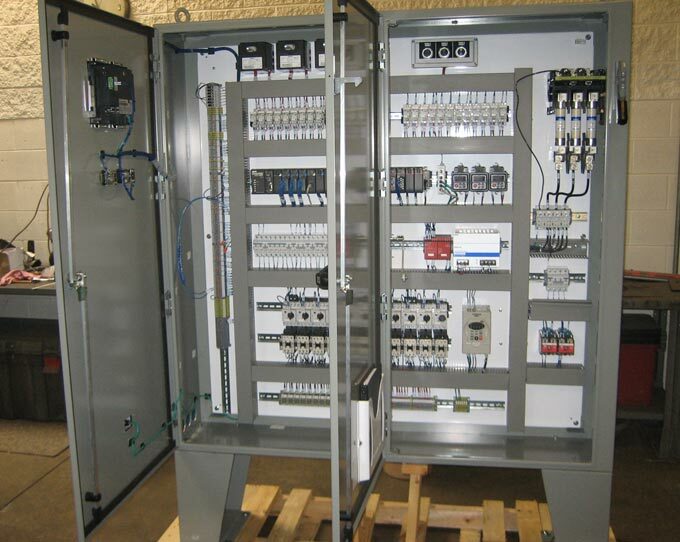 We have the expertise to supply and support a system that will fulfill all your application needs. If you’ve ever wished you could work with a consulting supplier that was also an engineer who understood how to design a system properly, you’re in the right place. When you choose Industrial Coating, our knowledgeable sales staff will work closely with you to determine your specific needs. Learn more. For over three decades, we’ve lived and breathed industrial coating—first with liquid applications, then powder. And during that time, we’ve overseen more than 150 installations of both new and used equipment. That means there’s nothing we haven’t seen. You may be going through the acquisition process for the first time—or the fifth—but we can confidently guarantee that nobody’s done this as much as we have. Experience is important to consider, because even when something looks perfect on paper, it’s simply impossible to predict what can (and will) go wrong in the real world. Yes, you might get lucky and have things go right… But why take that chance? We like to say we’re in the business of problems: anticipating them, planning for them, trying to stop them before they happen, and quickly fixing them if they do. And before those problems delay your project by weeks or months, ask yourself whether or not it makes more sense to trust the experts—to trust Industrial Coating. In a sea of new and used equipment providers, it can be difficult to choose one from another. We’ll only sell you what’s right for your operation. That means we won’t push a particular product just because it’s profitable. But it also means we may tell you clearly and directly that the setup you think you want isn’t actually the one you need. We have no special relationships with Manufacturer X or Conglomerate Y, so you can trust that when we recommend a product, it’s because it makes sense for you—not because we have to. Yes, we can design and fabricate whatever you need, but we also have a large supply of used equipment that may work just as well for you. We’d be happy to help you with either. After installation, we’ll continue to offer technical support and responsive, personalized service for your system. We know that, after “Will it work,” your most important questions will be about budget and delivery. So we spend extra effort to make sure you know exactly what you’ll need to invest in your system—including any costs that other installers might try to hide—and how long the process will take. From concept to production and beyond, your complete satisfaction is our primary concern. Our company-wide philosophy of "fulfilling all your needs" resonates throughout everything we do.